﻿ Surgical Treatments of the Spine at Orthopedic Associates of Corpus Christi. What is (XLIF) Lateral Access Surgery? Lateral access is a safe and reproducible means of addressing certain spine disorders with an approach from the side of the patient, as opposed to an approach from the back (posterior) or the front (anterior). A lateral (side) approach is made safe with the use of nerve monitoring technology (NeuroVision® from NuVasive,® Inc.). The XLIF® (eXtreme Lateral Interbody Fusion) procedure provides relief to patients who cannot tolerate a larger, open back surgery because of the increased risks of longer anesthesia time, blood loss, hospitalization, and recovery. It is also a less invasive alternative for patients who have lived with back or leg pain through years of various failed treatments, including steroid injections, physical therapy, and pain medication. The XLIF® procedure includes the use of NeuroVision® a technologically advanced nerve monitoring system (EMG), allows the surgeon	to have accurate, reproducible, real-time feedback about nerve health, location, and function, reducing the incidence of nerve injury during surgery. Read more about NeuroVision and the importance of nerve monitoring. Reduced operative time– Traditional procedures can take up to 5 hours; the XLIF procedure can	be successfully completed in as little as one hour, reducing the amount	of anesthesia time. Reduced blood loss and minimal scarring– Less-invasive procedure allows for less tissue disruption, resulting in reduced blood loss. Reduced postoperative pain– The XLIF procedure does not require entry through sensitive back muscles, bones, or ligaments. Many patients are usually walking the same day after surgery. Rapid return to normal activity– Patients are usually walking the same day after surgery. Recovery is typically around 6 weeks, compared to 6 months or more. An estimated 10 million adults suffer from chronic back pain annually. The majority of patients have problems with degenerative and related conditions. These degenerative conditions can result in instability and compression of the spinal nerves, causing back pain and/or radiating pain in the arms or legs. Before recommending back surgery, physicians usually first prescribe nonsurgical treatments, including lifestyle changes, bed rest, medication, physical therapy, chiropractic care, and steroid injections. When these treatments are not effective, some patients require spine surgery. It is estimated that over one million patients undergo spine surgery each year in the U.S.
comes on suddenly, and can be severe, but lasts a relatively short time. 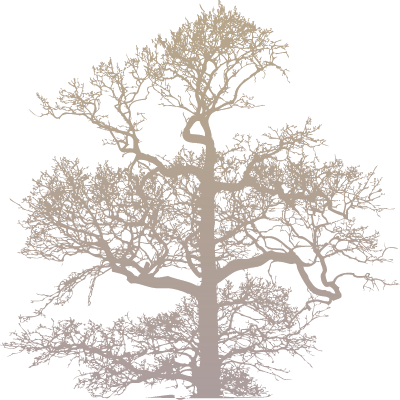 Chronic pain is a persistent state of pain that does not get better, on it's own, over time. It can be brought on by injury or illness. ache or a sharp, piercing, or burning sensation. The pain can stay in one place or refer or radiate to other areas, such as the front, side, back, legs, and neck. Some of the more common causes of back pain originate in the muscles and/or nerves. Back pain can be the result of a sudden, awkward movement, strained back muscles and ligaments, or lifting heavy objects or using improper form when lifting objects. Pressure or impingement of nerve roots in the spinal canal can be caused by herniated discs, arthritic conditions, bone spurs, or displacement of vertebrae, and can result in pain throughout all areas of the back, and often into the extremities. As we age, our intervertebral discs lose water content and become less able to hold the loads applied to them. This aging process is normal, but in some, it can cause back or leg symptoms due to loss of disc height and impingement of nerves. Many people suffer from a compromised quality of life due to disc degeneration. Spinal surgery can reduce motion between the vertebrae, adjust alignment, and restore proper disc height, alleviating pain. During the procedure, the surgeon removes most of the disc between the two vertebrae that are to be stabilized and implants a spacer to restore correct spinal alignment. The surgeon also implants bone-forming cells that bridge the space between the vertebrae and allow the bone to grow together. Increased stability and restoration of disc height often result in significant pain relief. 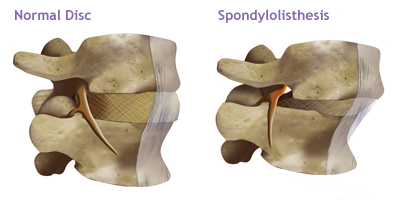 Spondylolisthesis is a condition where one vertebra has slipped forward over another due to degeneration of the intervertebral disc, resulting in instability. This misalignment can cause impingement of the nerves and/or fatigue of the back muscles. Spinal restoration surgery is done to reduce motion between the vertebrae, correct alignment, and restore disc height. During the procedure, the surgeon removes most of the disc between the two bones that are to be stabilized and implants a spacer to restore correct spinal alignment. The surgeon also implants bone-forming cells that bridge the space between the vertebrae and allow the bone to grow together. 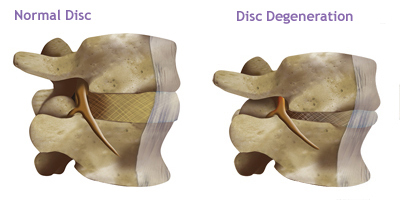 Increased stability and restoration of disc height often result in significant pain relief. Degenerative scoliosis is a medical condition where a right-left curvature of the spine develops, due to degeneration of the disc. This misalignment of the spine can cause back and/or leg pain, due to muscle fatigue and nerve impingement. Patients suffering from scoliosis often undergo back surgery to restore proper alignment and disc height. During the procedure, the surgeon removes most of the disc between the two or more vertebrae that are to be stabilized and implants a spacer to restore correct spinal alignment. The surgeon also implants bone-forming cells that bridge the space between the vertebrae and allow the bone to grow together. Increased stability and restoration of alignment often result in significant pain relief. Due to advances in medical technology, patients suffering from pain due to degenerative conditions now have more options than ever before. Each option has its own set of risks and benefits. Your doctor may first attempt to address your problem non-surgically; however if that does not relieve your pain, surgery may be suggested. Once your doctor has recommended spine surgery, the next step is deciding which surgical procedure is appropriate for you. Generally speaking, each procedure is defined by the “approach” or the way in which the surgeon accesses the spine. Anterior Lumbar Interbody Fusion (ALIF): In this procedure, the spine is approached from the front of the body. This approach spares the back from trauma but requires delicate manipulation of the major blood vessels in front of the spine. Posterior Lumbar Interbody Fusion (PLIF): This procedure is performed through the middle back, which allows direct access to the area being treated. The downside is that this approach also requires significant disruption to the muscles, bones, and ligaments of the back, which can lead to pain and desensitization after surgery. Transforaminal Lumbar Interbody Fusion (TLIF):This approach is similar to PLIF, the difference being that only one side of	the back is accessed and affected. Like PLIF, significant disruption to the	muscles, bones, and ligaments of the back can occur – although limited to one side of the back. Traditionally, both the PLIF and TLIF approaches require significant muscle, bone, and ligament dissection and/or disruption, which can sometimes lead to pain and desensitization of the back muscles after surgery. Thoracotomy: This procedure approaches the thoracic spine from the side of the rib cage requiring a large incision and deflation of the lung. The XLIF procedure does not require entry through sensitive back muscles, bones, or ligaments, resulting in less postoperative pain. It also allows for complete disc removal and implant insertion, compared with approaches from the back. When compared to ALIF, where the surgeon enters from the front, the XLIF procedure offers the benefit of reducing the risk of vascular injury during the procedure. Is XLIF Right for You? Once your physician has concluded that spine surgery is appropriate for you, the best approach for your condition will then be recommended. The XLIF procedure may be right you if you require surgery at one or more levels above the L5 vertebra. Suffering from degenerative disc disease with instability. With instability after a previous non-fusion surgery. Who require surgery to a disc adjacent to a previous surgery. With a disc that has slipped over another (spondylolisthesis). With degenerative scoliosis (curvature of the spine). With prior fusion surgeries that did not fuse (posterior pseudarthrosis). 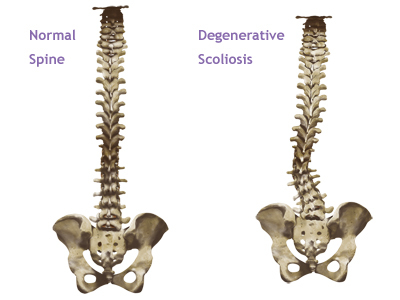 Those suffering from symptoms in the L5 –S1 level of the spine. Those with certain lumbar deformities. Those with severe degenerative spondylolisthesis (significant slip of one vertebrae over another). Those with internal abdominal scarring on both their left and right sides due to abscess or prior surgery. During spine surgery, it is important to protect the nerves associated with your spinal column. These nerves carry messages to and from your brain and your organs and limbs, aiding them with proper movement and sensation. The NeuroVision Nerve Monitoring System provides real-time, precise, and reliable feedback to ensure your nerve safety. By using this unique and advanced technology, your surgeon is provided with intraoperative information about your nerves, assisting with safe implant placement and surgical technique during your minimally invasive spine procedure. 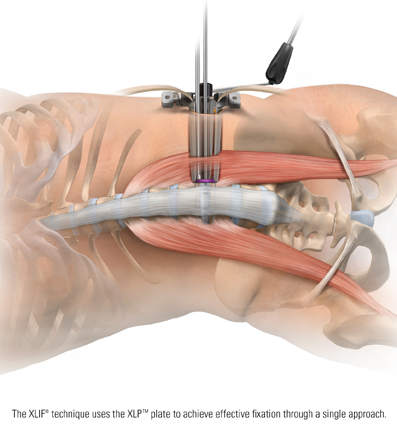 The NeuroVision System has been used successfully in over 70,000 spinal surgeries. With the minimally invasive XLIF® approach, and the safety afforded by this nerve monitoring system, you can experience a faster recovery from back surgery and a quicker return to your normal lifestyle.